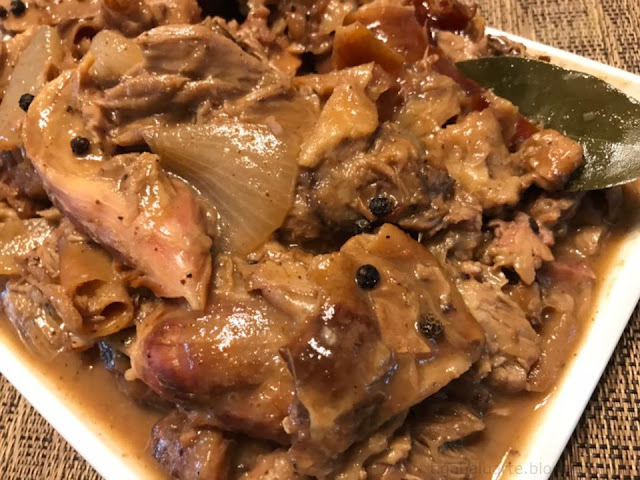 Lechon Paksiw is a Filipino pork dish made from leftover Lechon (roasted pig), vinegar, garlic and onion. 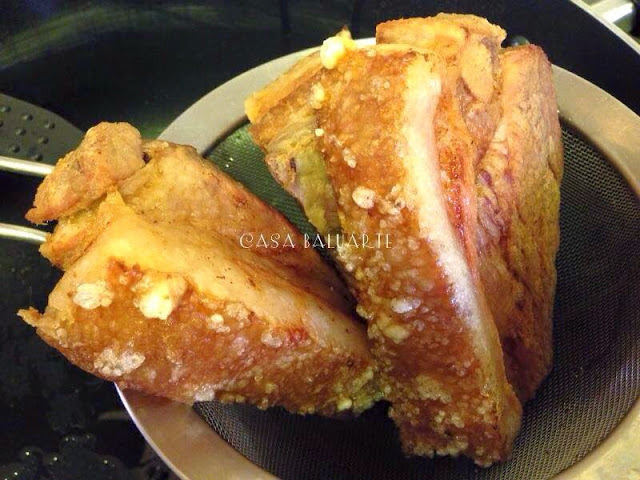 You can also use left over Lechon Kawali or Crispy Pata when making this. Best when cooked with Lechon sauce or Mang Thomas Lechon sauce. Using a wok or a deep pot, bring water into a boil. Once water starts to boil add whole peppercorns, bay leaves, garlic and onion. Simmer in medium heat for 3-5 minutes. Add left over Lechon Kawali or Lechon and soy sauce. Stir and simmer for 20-25 minutes or until meat is tender. Add vinegar and sugar. Simmer for 5 minutes then add Lechon sauce. Stir and simmer for another 5 to 10 minutes or until sauce thickens. Season with salt if needed, stir and simmer for a minute. Transfer in a serving dish, serve hot over steam rice and enjoy. 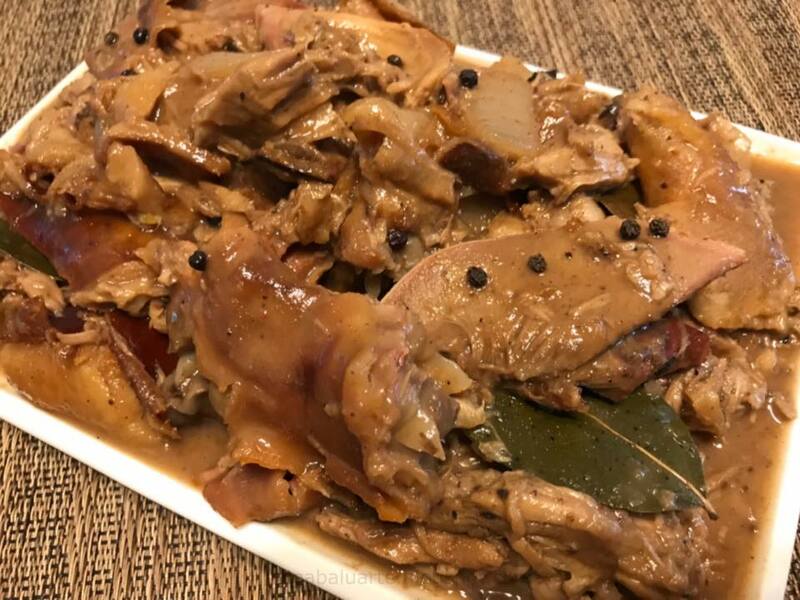 *Try Lechon Paksiw as a sandwich spread. Just spread a little mayonnaise on your bread, top with shredded Lechon Paksiw meat and serve. Yummy!